www.cueronet.com South American leather industry in spanish. www.leathernet.com Leather industry in english. www.leatherbiz.com Leather industry in english. 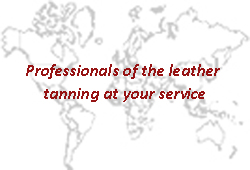 http://cuero.europages.es European leather business in spanish. www.portaldelcuero.com Leather industry in spanish.